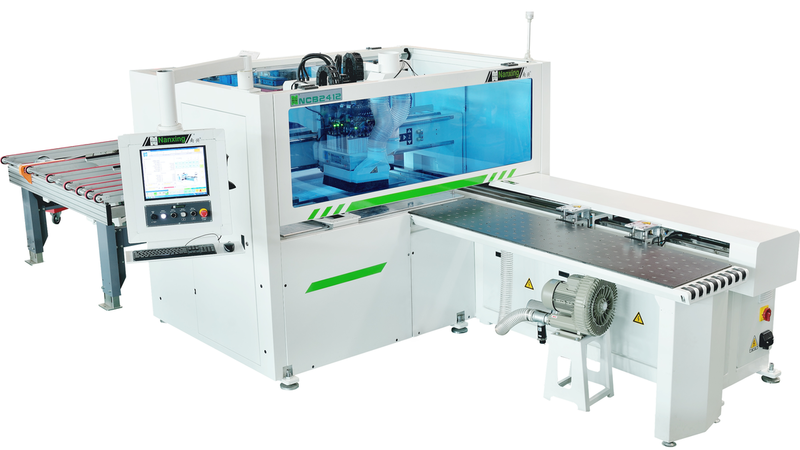 With the NCB2412 Lohmeyer introduces a 6-side CNC drilling machine to the market. In a single operation, six sides can be drilled and the top and bottom sides grooved. The machine is equipped with a double beam and two 3.5 kW spindles. The gantry offers a high stability and large machining possibilities with an upper and a lower drilling block. All spindles are driven by servo motors. Powerful and responsive double grippers and the automatic side alignment device enable fast and trouble-free machining. The movable, long guideway ensures a high processing speed.